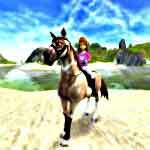 Tags: Adventure, Feed your horse, Grooming, Horse jumping, Mini-games, Riding, Take care of horses, Train horse. 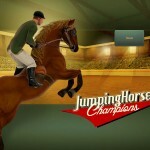 Take care of your horse while playing mini-games! 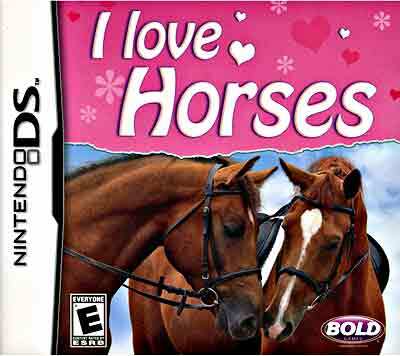 This is a game where you’ll be riding your horse all the time. 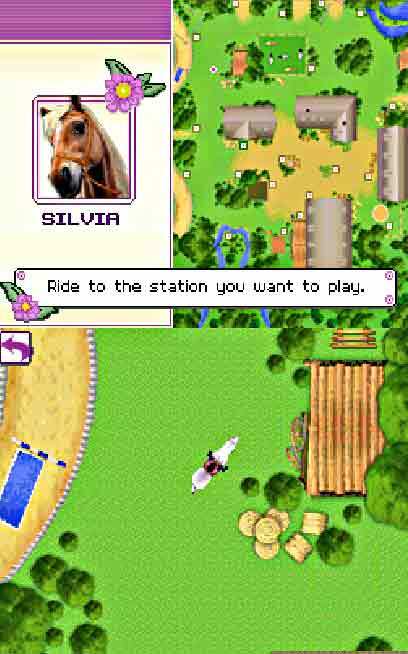 First of all you’ll be on a ranch, and with the help of the map, you’ll have to choose one of the areas to start playing. Although the game doesn’t have a story, there are certainly a lot of options to choose from. There are about 20 mini adventures that you can explore. 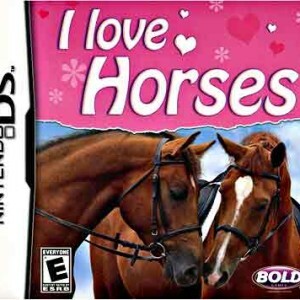 This game has some activities that you can do with your horse. For example, in Agility you need to ride in an obstacle course. In “Find the Way” you’ll have to put together a path. 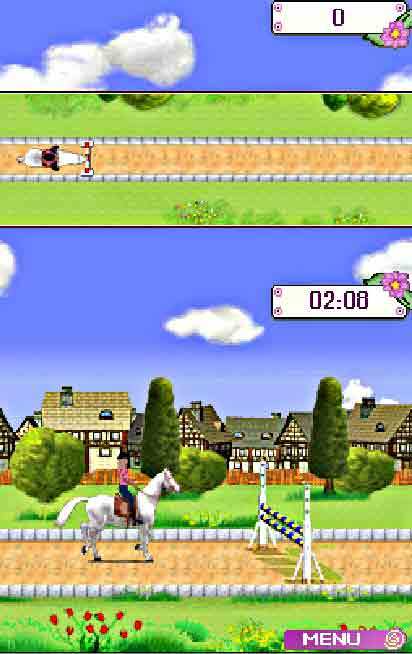 And in “Combine”, that really represents some older games, consists of moving the horses around the paddock in a way that you’ll be able to take your horse out. 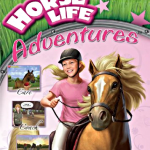 Besides these, you’ll find many other games and some of them don’t even include you riding a horse; like taking pictures and making an album where you can recall all the fun that the two of you had together! One thing that I really didn’t like in this game is that you barely interact with your horse. You can feed it, but even this is like a mini game. Despite that, my favorite activity is grooming the horse. 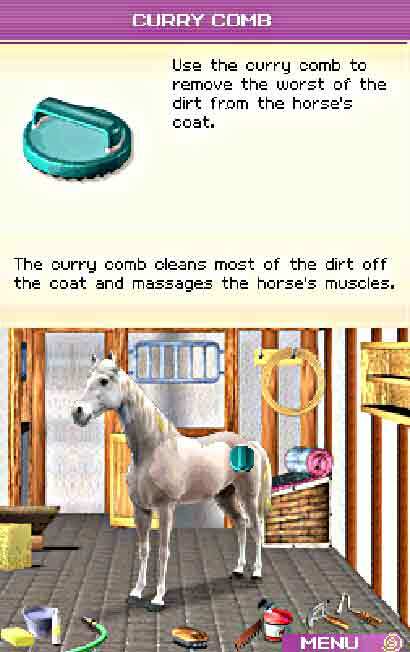 You’ll have several tools that you can use, and it’s really funny to watch how the aspect of the horse changes while you clean it. In order to give you the motivation to finish all of the mini-games, each time you complete one you’ll unlock something on the treasure chest. In here you’ll find some useful and interesting information about many types of horses around the world. Although this is a game with a lot of mini-games, it really didn’t impress me and I think it is a bit too expensive. 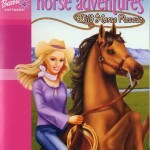 But if you like simple games and doing a lot of different activities with your horse, then you should try this.